Email marketing is a powerful method to grow your business. 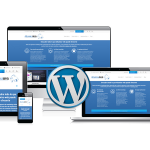 It can help you generate quality leads, increase brand awareness, and boost your bottom line. If you’re looking to kickstart your email marketing campaign or perhaps reconsider the one that you’re currently running, we compiled a list of stats that can help you out. 1. How many people use email around the world? According to a study, there will be over 3.7 billion email users, which is 48.6 percent of the world population, by the end of 2017. 2. What is the projected email marketing spending in the US in the next few years? From 2.67 billion dollars in 2016, email marketing spending in the country is predicted to rise to over 3 billion dollars in 2019. 3. Does email marketing actually influence people’s purchasing decisions? 4. What are the top email marketing trends this year? 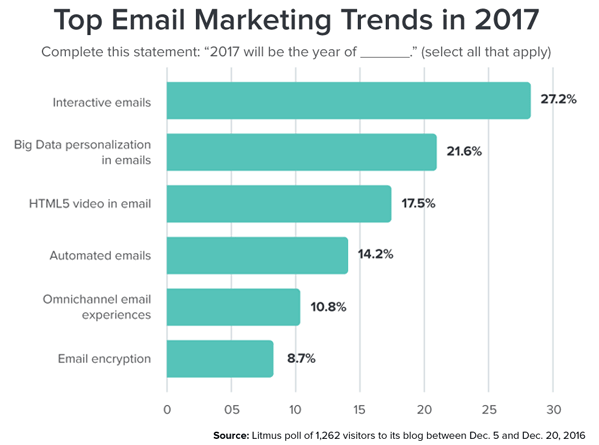 A poll of over 1,200 marketers estimated that interactive emails, Big Data personalization, and HTML5 videos would be the top email marketing trends in 2017. Here’s a recap of how the year turned out and what’s to come for email marketing in 2018 and beyond. 5. What are the most effective email marketing techniques according to marketing influencers? 6. 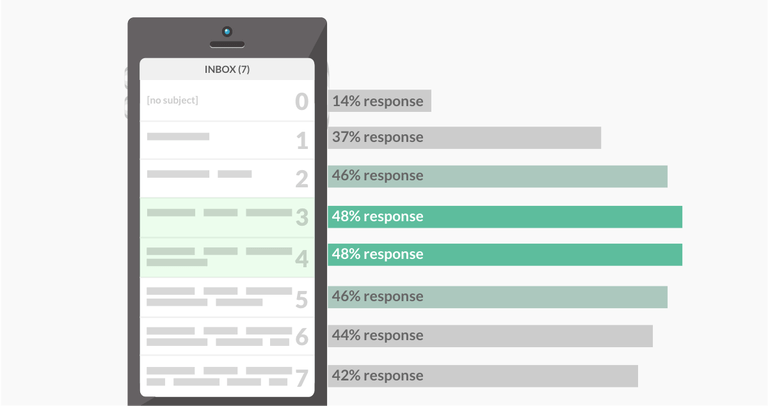 How effective is interactive content in increasing email open rate? 7. Are personalized email messages better than batch and blast? Personalized messages perform 3x better on average than batch and blast emails. When you send an email that’s based on user behavior, say abandoning a shopping cart, the email is much more interesting to the user compared to batch and blast or emails that are sent regardless of behavior or interest. 8. 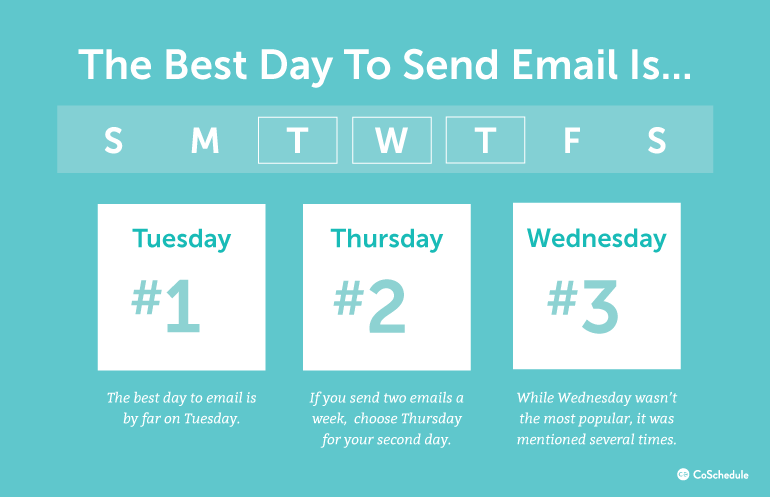 What is the best day during the week to send an email? A meta-analysis of 10 studies reveals that Tuesday is the best day to send an email as it registers the highest open rates among all days of the week. 9. 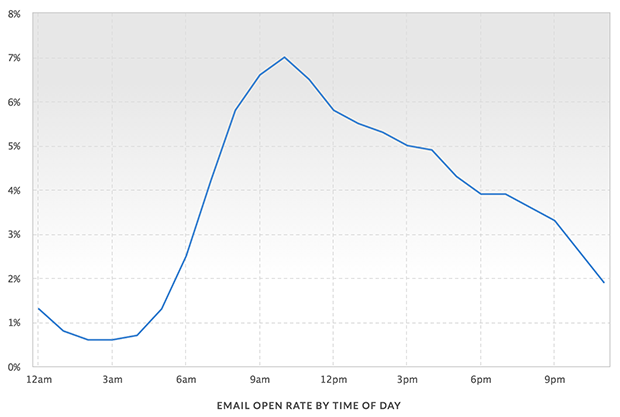 When is the best time of day to send emails? According to OptinMonster, most people typically read emails in the morning so the best time for opens is between 10 – 11 AM. Therefore, it is best to send emails right before that time to show up at the top of the person’s inbox. 10. What device do people use to open emails? 11. Outside of work, when do people usually check their emails? 12. What is the ideal length of a good email marketing piece? Emails that have 50 – 124 words had the best response rate at 50 percent. 13. What is the ideal length of an email subject line? Subject lines that have 3 – 4 words without counting email conventions such as Re: and Fwd: got the most responses. In addition to short, catchy subject lines, there are additional email marketing best practices you’ll want to implement. Keep subject lines short but not too short. 14. Are complex email marketing messages better than simple messages? No. Simple is the way to go. Emails that have a third-grade reading level had the best response rate, at 53 percent. This is followed by emails written at a kindergarten reading level, which had a 46 percent response rate. 15. Does email marketing help small retailers in customer acquisition and retention? Definitely. An overwhelming 8 out of 10 small retailers claim that email marketing drives customer acquisition and retention, topping other marketing methods, including organic search, paid search, and social media. Email marketing is the best tactic for SMB retailers to drive acquisition and retention. 16. What percentage of small businesses use email marketing data to improve email marketing campaigns? A survey revealed that only 51 percent of small businesses use email marketing data to help with their email marketing campaigns. The rest don’t know how to leverage data. 17. Should marketers send more than one email to shoppers who left items in their cart? Yes, it is advisable because shoppers who received multiple abandoned cart emails were 2.4 times more likely to purchase the items than shoppers who only got one. 18. Should marketers segment their email campaigns? Absolutely. Click-through rates in segmented email campaigns are 100.95 percent higher than non-segmented campaigns. Segmenting campaigns involve dividing your leads or subscribers according to certain characteristics like age, interest, or location. 19. Should email marketers personalize videos? Absolutely, because personalized videos boost email conversion by 500 percent or even more. Personalizing videos involve details that are embedded in the video such as the recipient’s name, company, or job title. 20. Does email marketing get more conversions than Facebook or Twitter messaging? In terms of conversion, email marketing outperforms Facebook and Twitter. On average, 66 percent of users make a purchase after receiving an email message as opposed to 20 percent for Facebook and only 6 percent for Twitter. 21. What is the estimated ROI of email marketing? Out of all marketing channels, email delivers the biggest bang for the buck. A dollar spent in email marketing generates a $38 return on investment. Email marketing is a profitable investment that can help you grow your business. 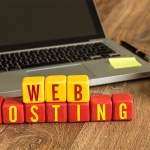 Consider these stats as you launch your email marketing campaign or if you are looking to make a few tweaks to the one that you’re currently running. Do you have other interesting email marketing statistics? Please share them in the comments section below. And if you’re looking for great email marketing software to power your next email campaign, we’ve got you covered with a comparison of 3 leading email marketing software tools. Awesome article about E-mail Marketing.! I agree, e-mail marketing is much more efficient than using social networks. However, you shouldn’t just stop using those.